Tannins are a class of molecules found in plants. At high doses, tannins are unpalatable to animals (including humans) and are most highly concentrated in the parts of plants that need the most protection. 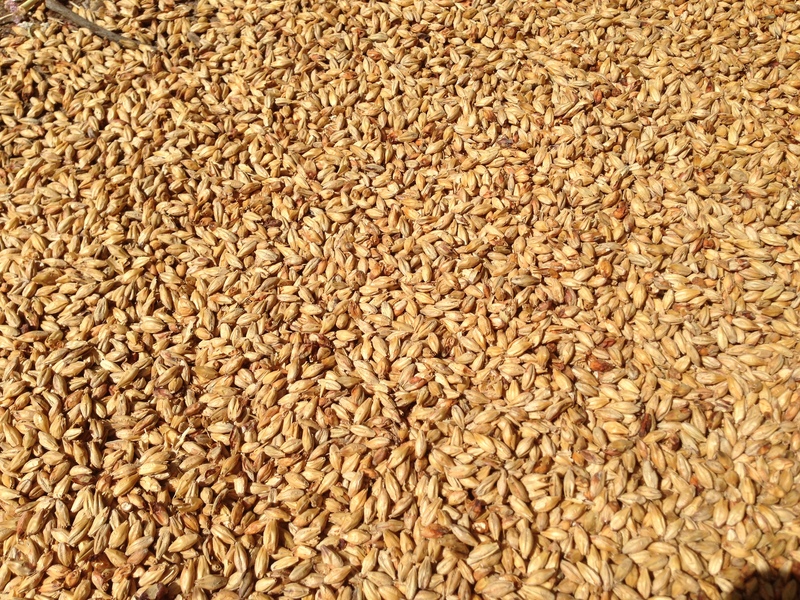 Some types of tannins are found in barley seed, and hence are present in malt. Other tannins are found in hops. A small amount of tannins are extracted in the mash and in the boil. Some react with proteins and drop out of the brewing stream, but some do carry over into finished beer — and brewing scientists have found that a beer completely devoid of tannins does not taste right. However, as all brewers know, an excess of tannins leads to a harsh astringency that is unpleasant. So, most brewers strive to minimize the amount of tannins extracted in their beers. This isn’t always the case, however. Traditional lambic brewers sparge with 190 °F (88 °C) water to extract more tannins than other brewers (who normally sparge at 170 °F (77 °C), a temperature at which less tannin extraction occurs). The low level of astringency this brings provides a counterpoint to the sourness of the lambic. And, many big beers, very dark beers, and very bitter beers show a slight astringency that actually benefit the beverage. These beers typically do not show the level of tannins found in red wines, unless they have been barrel aged. Then, they might come close. If we accept the idea that tannins may sometimes accentuate a beer rather than ruin it, the question becomes how to manage tannins — and especially, how do you yield a low level of tannic astringency, enough to balance the other characters in the beer, but not so much that it becomes unpalatable? Before getting into that, though, let’s consider what types of beer might benefit from a hint of tannic astringency. Most would not. For most “everyday” beers — balanced, quaffable beverages — astringency is going to add a note of harshness that won’t blend with the other characters in the beer. However, in some beers with strong flavors, a little puckering mouthfeel can work with the flavors and aroma and be welcome. As noted before, in lambics a little “iced-tea”-like astringency complements the lactic acidity of the beer. And, in many strong dark beers and double IPAs, a little astringency can keep the beer from seeming too mono-dimensional. (And of course, it’s also harder to limit astringency in these two beers, as well.) Fruit beers may show some astringency from their skins (and pits or seeds), and — along with the tartness of the fruit — a little astringency can rescue the beer from seeming like beer with Kool-Aid in it. Tomorrow, I’ll discuss a few ways to manage tannic astringency. Everybody knows that sparging with water over 170 °F (77 °C) will do the trick, but there is another method that is much more manageable. 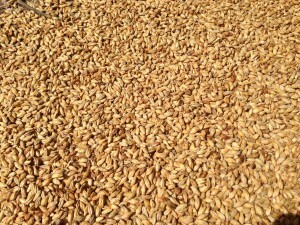 Malt, which contains carbohydrates, proteins . . . and tannins. If you enjoy Beer and Wine Journal, please consider supporting us by clicking on one of the donate buttons, thanks. Also, my book comes out September 20, and is available for pre-order on Amazon and Barnes & Noble.